Here's a collection of Charmed Studio posts written to give you a hand up when you are feeling less than fabulous. Maybe you want to read about why O'Keeffe thought you shouldn't focus on happiness and what you need to focus on instead? Perhaps looking at our piece on how to prevent burnout might be good right about now? Or maybe you want to make an aromatherapy toolkit for money-panic, or access 3 meditations just for artists that reduce fear and ignite creativity? You could be wrestling with self-doubt about your art. Doing fine already? Just want to feel even better? 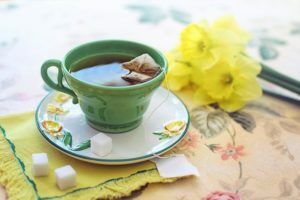 How about a simple, soothing post on the benefits of tea for artists? We all get lost or feel down once in a while. I hope you find something in one of these posts to help you feel right as rain in no time.